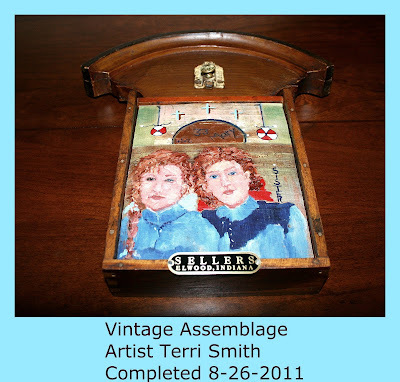 Friends, I've Been Havin' Fun This Week Playin' Around With Assemblage. 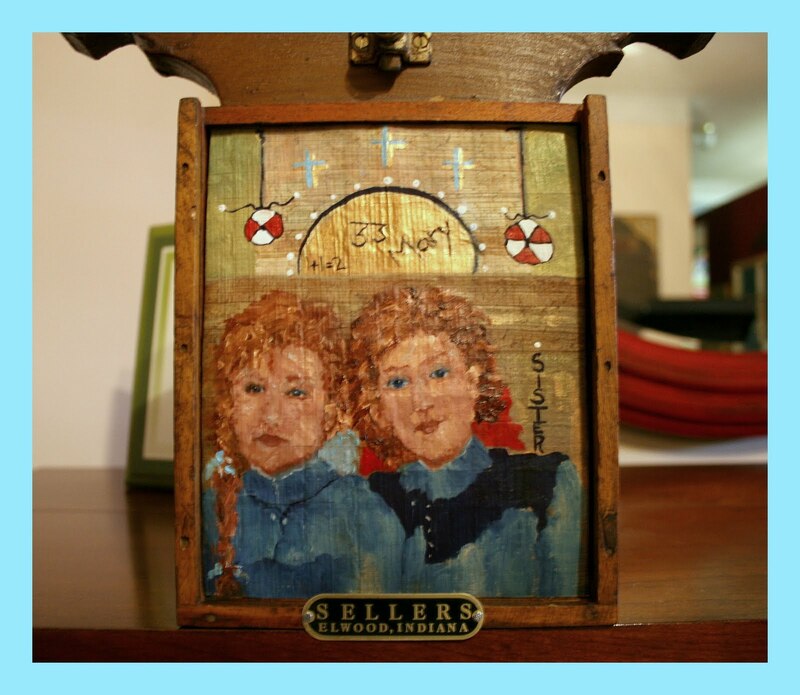 A Sweet Blogging Buddy, Diane Salter Has Truly Inspired Me With Her Beautiful Assemblage Pieces. And After Weeks Of Coveting Her Creative Genius, I Couldn't Help But Try My Hand With Some. 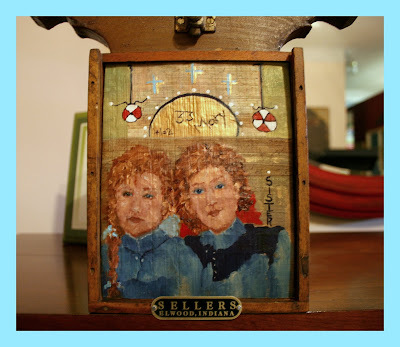 Be Sure And Take A Peek At Diane's Blog To See Where I Drew My Inspiration. Thank You So Much Diane. I Suppose My First Piece Is Small By Most Assemblage Comparision, But I Decided To Take It Slow Initially. I've Enjoyed Collecting Vintage Odds And Ends For Years. This Southern Girl Loves Exploring Flea Markets, Yard & Estate Sales, Antique Malls, and Old Rural Farmhouses Before Demolition. Ironically, Whenever I'd See A Certain Something ~ I Never Could Put My Finger On Why "I'd Just Have To Have It". Now Maybe I Can Finally Use A Few Of My Lit'l Treasures. Here's Wishing Each Of You A Glorious Upcoming Weekend! And Thanks To Anyone Who May Have Visited Today! Terri... this is gorgeous! 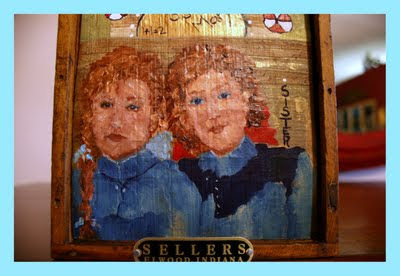 I love vintage odds and ends and this is a perfect way to show them! Love it! Very fun. I think Diane is so creative, too. What is that trinket...an old clock? It's beautiful! It's so wonderful to be inspired by the work of others...and your painting is amazing! Thank you for sharing at Studio JRU today! I can hardly look at a piece of wood anymore without thinking "what could I paint on that?!?!" It looks wonderful, and I like the roosters a few posts down too...looks like you are staying busy! 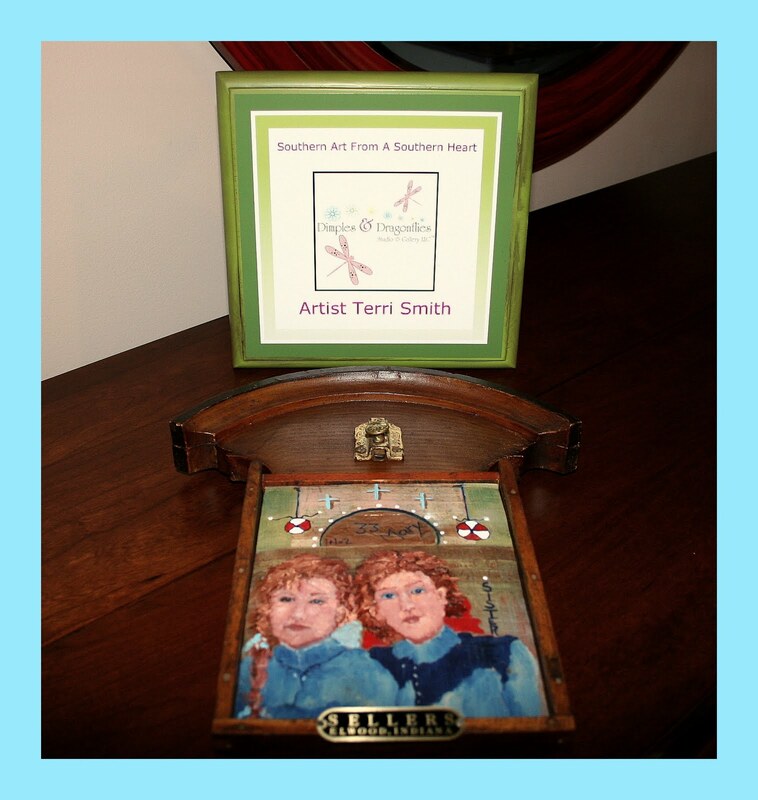 Oh Terri--this is outstanding--YOU are inspiring me! And be careful--it can become addictive--the hunt--it's just as much fun as the creating. Sometimes I'll find an object and it tells me what to look for next and in one day, sometimes I can find all of the "puzzle" piecs for my story that I want to tell! And thank you SO much for the mention--you're so sweet! Terri, I love how you move in and out of different creative mediums, learning new things and trying them out.... the sign of a truly creative person, I think. You go, girl - looking GOOD! !